I used Grandelash MD for about two weeks. I had to discontinue use after having severe eye twitching in my left eye. It’s been about 4 or 5 days without applying the product, and about two weeks having eyelid twitching episodes daily. 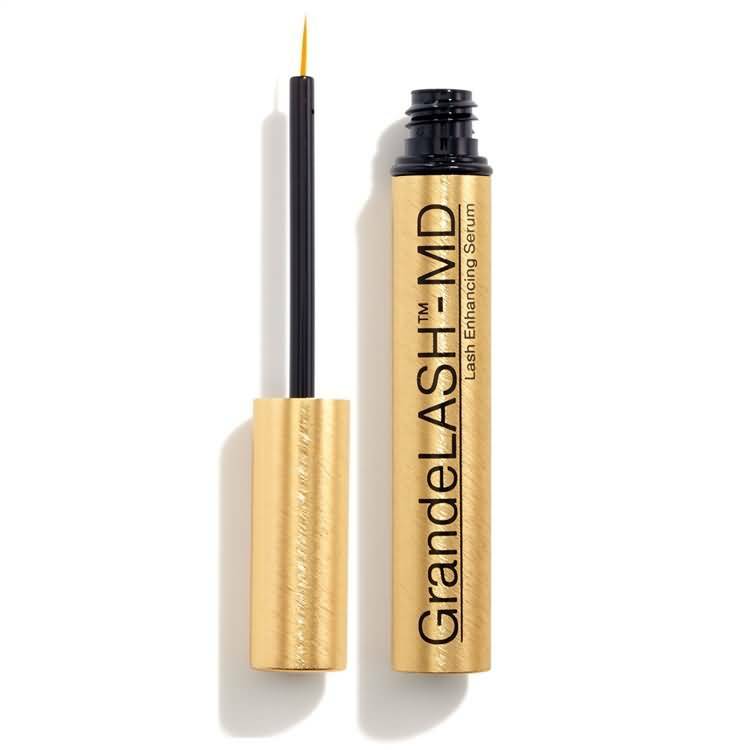 I used Grandlash serum (purchased authentically on Sephora website) for almost 2 months. I have had a lot of eyelash shedding to the point where I now have a significant LOSS of eyelashes from where I started. I am extremely upset about this, as I researched the product extensively online before purchasing and there were NO comments about this anywhere on the internet. I contacted Grandelash and I was told that eyelash LOSS can happen during the first few months. Be aware! I had allergic reaction. Burning, redness and swelling of lids. FINALLY… someone else has said this too. Today is the last day I use this product. I looked in the mirror this morning and my lashes are worse than when I started one month ago. They’re broken and falling out every single day. Going back to RF Lash Boost. It worked wonders but I hated paying the high price. That’s happening to me. I’m freaked out. Did your lashes grow back? I have been using GrandeLASH-MD for 3 months now and it has really worked for me. I went from having eyelashes so short I could barely get mascara on them to the long lashes I had as a kid. I would not say they are thicker or more of them, but my lashed are most definitely longer and more noticeable, and it is much easier to apply mascara to them. I am very happy with the product so far. I used one time before bed as recommend. I woke up next morning with red eye lid skin that was swollen my eyeballs were severely bloodshot red. I discontinued use immediately. Like the others, I read raving reviews. Found no negative reviews. I have used another lash serum with great results and no side effects for two years. The only reason I bought this one is because the one I was using was discontinued. Now I’m to skeptical to try anothet one. I really hate to be negative and I’m not about putting down a product especially if it is working for some people. 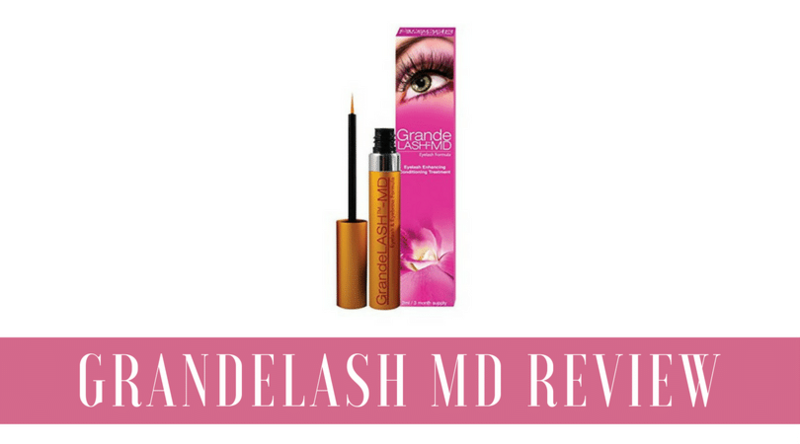 I used GrandeLash-MD for about 3 months and after discontinuing using it because of the cost I am a little shocked that my eye lashes have fallen out in spaces, hopefully they will grow back! I had irritation, slight burning and redness in eye the day after trying. Thank you so much for posting this! I used this product twice and noticed I was getting dark circles and looking older- not to mention the initial redness/irritation upon application. I cannot believe Sephora is selling this product that has no clinical testing! By clicking on the cloprostenol isopropyl ester link in your review, the resulting page said that ingredient is not safe for people to use period. Again, thank you so much posting your information. I will be returning this product and I obviously don’t recommend it. I have decided to discontinue using it and hopefully the pigmentation will fade. I got my grandelash serum in yesterday and used it last night and omg I awoke to red bloodshot eyes this morning! I heard so much about this profit and how great it was and now this! I’m not happy as this was suppose to also be safe to use for when you had lash extensions. I’m not using this again after reading reviews that are saying the same as mine. Bad. I have used Revitalash with excellent results and minimal irritation. My experience w this product was the exact opposite. Very harsh. The entire upper and lower areas around my eyes after just one use became red. I used 2x a week for 3 weeks w no result. With Revitalash I got results in less than a week. I stopped using BC too uncomfortable. Months later I was inspired to try again. After just one use my eyeballs are red, painful, sticky, and my vision is blurry despite constant flushing. I wrote that I was surprised this result didn’t happen in testing. Now I find this article which says there is no evidence of testing. I would not recommend using this product BC it’s too risky. I just threw in the trash. I had bad reactions – I had breathing problems when I took Grande Lash. And bad headaches. It was so bad, that I couldnt even move. So I stopped using it and switched back to another serum. So please watch out if you use it. Don’t buy this stuff. I am not a sensitive skin person at all I have had an extreme reaction a week into using this stuff. My eyes are so swollen and I can’t see in the sunlight to drive. Bloodshot itchy eyes also. Has anyone seen loss of hair. 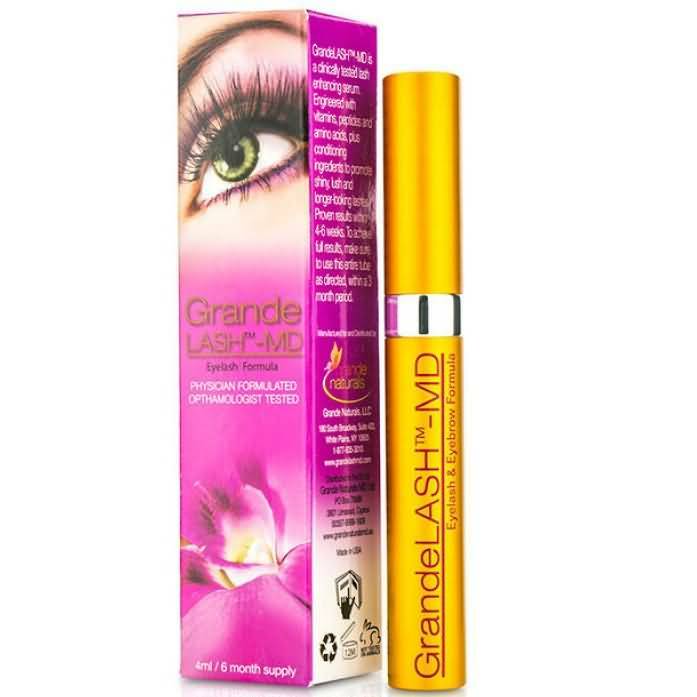 Been using the eyelash product grand lash -md for aminth and a half. My hair is thinning. Never had that before. Has anyone experienced that? I’ll stop using it and see if it makes a difference. I used Grande Lash a couple nights ago and woke to red swollen eye lids upper and lower with very bloodshot eyes and dark circles above and under my eye lids. Day 2 and the redness and dark circles are still there. Everyone keeps telling me I look sick or tired!!! Horrible stuff!!! I returned it to Sephora. I would not recommend. I used it two times. After the second application I work up with a red rash around both eyes where I applied it. No itching but slight burning. 12 hours later and the red rash is still there. I have used Grande Lash for about eight months. It seemed to work quite well at first but is not keeping my lashes as full as before and in the last three months I have begun to find it very irritating. The dark circles under my eyes have grown increasingly pronounced. It really looks terrible. I didn’t realize that darkness around the eyes was a potential. I hope this darkness will reverse when I discontinue use. I have used grandelash for about 3 months. My lashes are fabulous. I did notice darker pigmentation around my eyes but the biggest issue is I now have hair growing in the corner of my eyes and on my cheeks below my eyes. Just bizarre. I also oddly enough started experiencing hair loss on my head. I used the product for about 2 weeks and developed small red blisters underneath my eyes am experiencing burning pain. I am hoping that my skin will heal and will never use this product or recommend to anyone to use. I was reading about the Eye Lash serum, after reading this, I’m afraid to use it. what do you think? I have been using this product for about a month and I’ve noticed discoloration on my upper eye lid and my eyes are very blood shot. I will be discontinuing use of this product. I have been using this product for over a month. My daughter has used it for over 6 months with great results, and my sister has also had positive results. I, on the other hand, have noticed that I have bare spots on my eye lids. I am so disappointed, and wish that I hadn’t tried it. I’m not sure if I want to try a different product, or just hope that my eye lashes grow back. I have been using for exactly two weeks and I’m now noticing an increased sensitivity to light and my lashes aren’t growing longer. I will discontinue using this product if the light sensitivity gets worse. I used Grandlash two nights ago and my eyes have been bloodshot red since I woke up the following morning. I used regular Visine and it didn’t work. My eyes are still red. I’m hoping to see my eye doctor today. I’m so glad I read these reviews. It confirms my suspicions. I’m going to return this product to Sephora. Why would they keep selling a product with so many complaints of reactions?